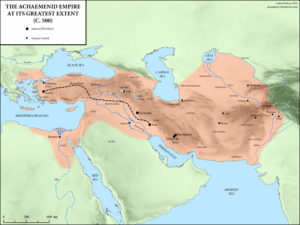 Historically, Babylon was overthrown by the Medo-Persian Empire, which was overthrown by the Grecian Empire, which was overthrown by the Roman Empire. After the death of Nebuchadnezzar, the neo-Babylonian Empire begins to lose power. Cyrus the Great conquers Babylon in 539 BC, establishing the Medo-Persian EmpireThey tried to rebuild Jerusalem but there was much local opposition especially from the Samaritans. Jerusalem remained largely a ruin. Relations with the Samaritans went from bad to worse. Cyrus issued a decree to allow Jews to return to Jerusalem and conquered Babylon more than 150 years after it was prophesied by Isaiah. Cyrus died around December 530 BC and was succeeded by his son Cambyses II, who immediately killed his brother Smerdis (Bardiya). He then went to the eastern front and captured Egypt just before he died in 522 BC. He was succeeded by an imposter, Gaumata, calling himself Smerdis. After only seven months he was killed by Darius the Great, the grandson of Arsames. 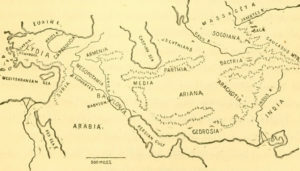 In 536 – 534, Darius the Mede, although not a King of the empire, received the kingdom of Babylon as viceroy from Cyrus when he was 62 years old. Following him was Xerxes, the son of Darius and a daughter of Cyrus the great and the husband of the Hebrew queen Esther. He stopped an Egyptian revolt in his first year. Around 484 BC, he also destroyed the Babylonian temples and took the statue of Marduk (Bel) and killed the priest that tried to stop him. This was followed by the reign Artaxerxes I post which there were five rulers whose reigns suffered a progressive disintegration of the Persian empire. For example, Xenophon (once a pupil of Socrates) writes in his famous book Anabasis, how the Greeks were hired as mercenaries by a claimant to the Persian throne, to wage war against the recognized king. The story records how the Greeks learned through the mercenary experience that the Persian Empire was internally weak and could be challenged militarily. The first great clash between the ram and he-goat (Persia and Greece) occurred about 410 B.C., at the Battle of Marathon. This is where the marathon race originated. Before the Greeks conquered Persia, Darius III assembled the largest army ever created to try and stop the progress of the Greeks (over 1,000,000 men from 40 different nations). He was still defeated by Alexander, who had no money and only 35,000 men, in the Battle of Arbela. The Greeks, under the leadership of Alexander the Great, defeat Persian armies in Macedonia in 333 BC. This marks the fall of the Medo-Persian Empire and the rise of the Grecian Empire.